The Teslacigs TPOD is the first pod mod to really make an impression on this reviewer. Simply put, as an advanced vaper of 7+ years, I need to know what’s going on inside my vape mod in real time, and the TPOD does just that with its 1.4” Color OLED display. 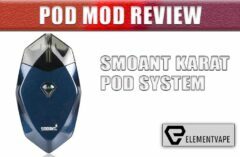 This is the POD MOD experienced Vapers just might use as their ultra-portable, discrete Pod Mod when discretion is paramount. In addition to its 1.4” Color OLED display, the Teslacigs TPOD also packs a decent 500mAh internal battery, and a 2mL capacity snap-in pod. (note* removing the pod when it’s time to refill will be difficult unless you apply equal force on both sides of the pod. Do that and the pod comes out easily) Made with a high-grade zinc alloy, using a draw-activated mechanism, pod ceramic coils with a resistance of 1.5-ohm, the TPOD can be easily used with nic-salt eJuice or any other e-liquid. 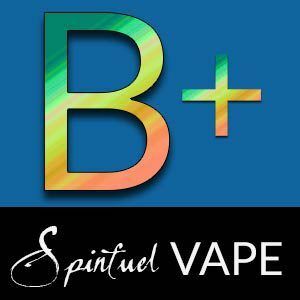 I don’t make it a habit to vape eJuice with 30mg-50mg nicotine (nic-salts), so I conducted this review with some fabulous eJuice of the 70% VG type, and this pod mod performed better than I believed it would. A nic-salt using friend of mine tells me the performance with these high nicotine, intensely flavored, and thinner eJuices gives an even better vape experience, of which I have no doubt. 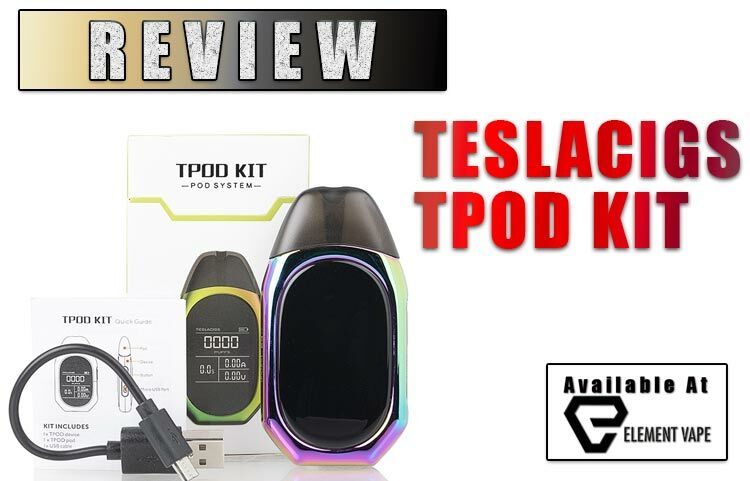 The Teslacigs TPOD AIO Pod Mod Starter Kit is truly an innovative all-in-one vape system. The TPOD brings a sense of real luxury and advanced features you might not expect. 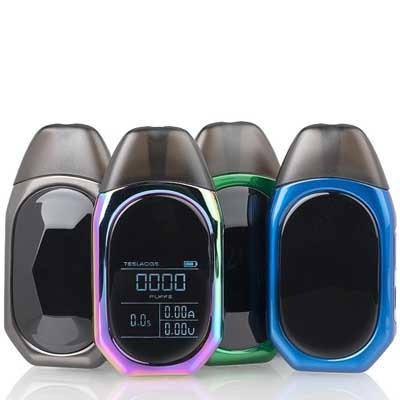 It’s 1.4” OLED display is located on the front of the device and displays the battery life, voltage, atomizer resistance, puff timer, and puff counter, just like the big boys do. The Teslacigs TPOD uses a magnetic pod system that secures the pod to the device, and with a standard atomizer resistance of 1.5 ohms the 500mAh built in battery powers the device for several hours. It is recharged via the included short USB cable in as little as 35 minutes. 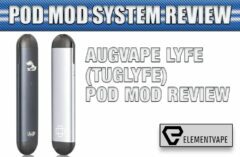 The Teslacigs TPOD Ultra-Portable Pod Mod System is a simple and convenient AIO but gives the user a lot more information than simpler pod mods we’ve reviewed before. An innovative all-in-one vape system that combines luxury and a 1.4`` OLED Screen, plus a quick charge integrated 500mAh battery. One 2mL refillable pod is included in this Kit. Now, I understand no one expects high-performance sub-ohm tank clouds from the TPOD, or any other ultra-portable pod mod, but the TPOD’s ability to output authentic flavor is remarkable. However, even for a pod mod the vapor production is minimal. It does produce a bit more vapor when the coil is broken in, but no one vapes a pod mod to chase clouds. In truth, a pod mod is a device to deliver nicotine into the body, and the TPOD does that well. It would have been nice to have some type of airflow control though. The TPOD is small, only 88mm by 44mm by 15mm in size, yet very comfortable to hold, if not use. 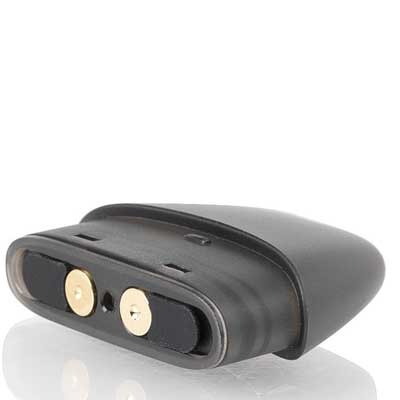 It’s standard 1.5-ohm resistance pods draws little power, allowing for longer battery life. Coils are Kanthal for optimal flavor production, and while the draw is mostly a mouth-to-lung (MTL) experience, I was able to use it as a direct lung device, though with a tighter draw than I’m used to. In truth, the TPOD is an MTL pod mod. When you buy the Teslacigs TPOD Kit you only get a single pod. Used correctly and the pod will last a good 10 days. The best way to get the most life out of it is to break in the coil slowly. Even with a pod mod, if you try to vape it seconds after filling it you’ll scorch the coil and ruin it. The Teslacigs TPOD Replacement Pods are on the expensive side, almost $17 per 5-pack. But they are well-designed pods and the 1.5ohm ceramic coils adds to the cost. The refillable pod has dual fill ports that can be accessed from the bottom. They are secured by two rubber stoppers. The pod is secured to the TPOD with a trust-worthy snap-in connection. Why not an “A”? 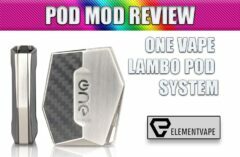 Even after breaking in the pod’s coil the draw is too tight to produce adequate “pod mod level” vapor for this reviewer.